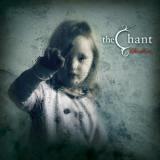 The Chant is a Finnish band that had been operating for almost ten years and pushing out numerous demos before the warm bosom of a record company offered a place to shoot forth their melancholic harmonies. The band is a mishmash of several different degrees on the heaviness scale. The most driving moments border on that oft-so-ambiguous label of dark metal, while there are plenty of cleanly played moments which are pure pop. So I guess when the sides are brought together the easiest way is to call this rock. The first band to namedrop that came to me would be Charon, though not quite as heavy and gothic. The absence of the gothic would especially apply to the vocals. Singer Ilpo Paasela doesn’t plow those gut-rumbling low tones that many goth rockers are known for, even though he does have a strong low register. I guess with music like this paired with a male crooner in Finland, one should mention vibes of HIM here and there. It’s by no means prevalent, just a feeling. The band plays tightly throughout the album and the production is nicely crisp with the atmospheric keyboards and twinkling sound effects just right in the mix. The song material varies quite substantially in intrigue. Songs like Ode To The End (Thank You) and The Breakdown present the pop-rocking side of the album that fits well for radio play, but sounds quite bland to me. Whenever Paasela distorts it a little with his hoarser voice, like on the nicely growing Crown or Secret Societies, the results are much more satisfying. Cold Comfort is a great rocking tune with even slight folk spices in the melodies – A direction that I would definitely recommend the band explore further in the future. The over 9-minute closer The Only Friend kicks off a little sluggishly, but manages to get quite epic with the adding layers of synths and the varying vocal styles. Nice guitar solos also splice through the song. Overall, fans of this kind of “semi-depressed” pop/rock/metal should really dig Ghostlines and can without hesitation add 10-12 points to my personal scoring. I guess if you’d be looking for a lighter and mellower sibling of Sentenced, The Chant would be something to look forward to. The band has definite potential and the abilities honed through several years are more than evident. The band itself has said in an interview that “When the heart is aching, Ghostlines helps”. Make what you will of that message and enjoy.